What’s your favorite transportation story? Photo by EMBARQ. 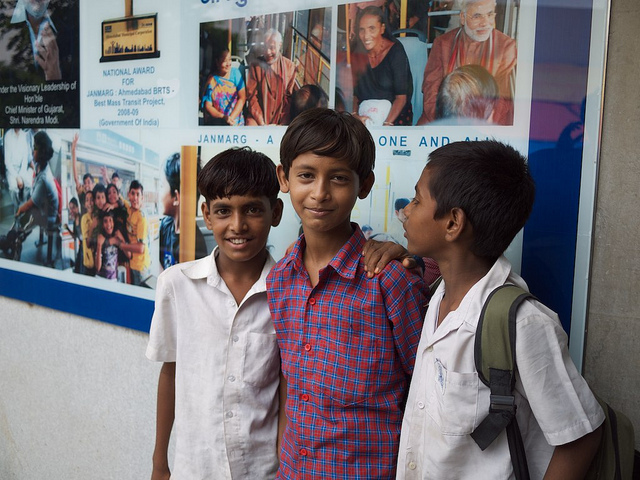 Three young boys in Ahmedabad, India save up their change every week to spend on a special treat. They used to buy candy. Now they save up to go for fun rides on bus rapid transit! That’s my favorite sustainable transport story. What’s yours?